If you shop online at least once a month, you could be paying a small fortune in shipping costs over the course of a year. Why not save all of that money and use it on something fun? Here are seven ways you can get free shipping when you shop online. Be sure to share your favorite tips in the comments below, too! This is a big one – if you subscribe to Amazon Prime, you get a lot of benefits 10 Awesome Amazon Prime Benefits You May Have Overlooked 10 Awesome Amazon Prime Benefits You May Have Overlooked Free two-day shipping is just the beginning. Here are some notable Amazon Prime subscription benefits you may not know about. Read More , but one of the most significant is free two-day shipping on any order. If you’re like me, and place a lot of Amazon orders, this can save you a lot of money in the long run. Combining it with other benefits makes it worth the annual $100 fee, especially if you’re taking care to save money on your Amazon purchases 5 Ways To Spend Less On Amazon Purchases 5 Ways To Spend Less On Amazon Purchases Amazon has built a reputation for great prices. Though not always the least expensive, and often not the best source for sale and clearance items, stock is generally inexpensive and comes attached to a large... Read More . Also keep in mind that if you choose “No-Rush Shipping,” you’ll get a small credit toward another purchase (usually a Kindle book, movie, or MP3 download), and that can add up over a lot of purchases, too. 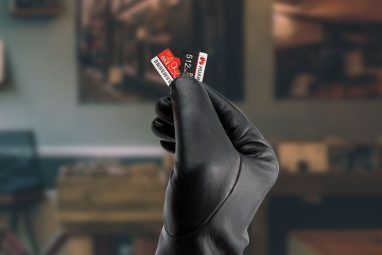 In most cases, getting an order in four or five days instead of two isn’t a big deal, and getting that credit will be worth the extra couple days. While they’re not as well-known as Amazon Prime, free shipping subscriptions like ShopRunner and FreeShipping.com are also options that you should consider. Instead of just getting free shipping on a single site, they work across a wide variety of online retailers. Just sign into the relevant service at checkout, and you’ll get free shipping as well as free return shipping. ShopRunner even gives you the option to get free two-day shipping. Both services offer special coupons and other deals too, so the $70 or $80 annual fee could be recouped very quickly. A lot of online retailers offer free shipping during their seasonal sales, so if you’re shopping around Labor Day, Christmas, Memorial Day, Valentine’s Day, or any other holiday, you might be able to get free shipping just for buying something. Social media can help you save money 7 Ways to Use Facebook to Save Money 7 Ways to Use Facebook to Save Money Read More , so keep an eye out on Facebook and Twitter for retailers to announce these sales, as you don’t always know when they’re coming. Signing up for retailer newsletters will also tip you off to these opportunities. For more tricks to help you save money, check out Sandy’s article on 5 useful, money-saving online shopping tips you should know 5 Useful, Money-Saving Online Shopping Tips You Should Know 5 Useful, Money-Saving Online Shopping Tips You Should Know Here are several tips and tricks to help you hold onto more of your hard-earned cash. Read More . Remember that there’s also Free Shipping Day in mid-December when online retailers are encouraged to offer free shipping to their customers. It’s only once a year, but it’s during a big online shopping time, so it can be really valuable! Many online retailers will offer free shipping to one of their brick-and-mortar stores or free pickup if you order online. Walmart, REI, Toys ‘R’ Us, Target, Office Depot, Best Buy, and lots of other popular retailers offer at least one of these options. If you’re willing to make a trip, you can skip the craziness of shopping in a store and just swing by to pick up your purchase. While you can’t always rely on online coupons, free shipping coupons are some of the most common. There’s often a minimum amount that you need to order, but running a search through a coupon-finding site The 3 Best Online Coupon Sites to Save You Money The 3 Best Online Coupon Sites to Save You Money Coupon sites are one of the best and easiest ways to save when shopping online. From quick deals to guides on how to control your budget, here are the best coupon resources on the Web. Read More or a coupon-finding browser extension 10 Money-Saving Browser Extensions That You Should Install Now 10 Money-Saving Browser Extensions That You Should Install Now There are plenty of browser extensions that will compare prices, find coupons, and save you money. Install these 10 extensions now and watch the savings roll in! Read More for the retailer you’re shopping at could net you a code for free shipping. It only takes a few minutes, and it’s worth a shot. Some brands will post free shipping coupons to their social media accounts, so you may want to follow the retailers that you buy from most often. It might be a good idea to separate them into a list or hide them from your primary Facebook feed, though, as being exposed to all of that advertising could tempt you into spending more 8 Online Habits to Kick Because They're Costing You Money 8 Online Habits to Kick Because They're Costing You Money Online shopping is really convenient -- but it can also be really dangerous. Read More . A lot of online retailers will just give you free shipping if you spend enough at their store. ModCloth, for example, offers free shipping on purchases over $75. Backcountry.com will ship your order for free if you spend more than $50. 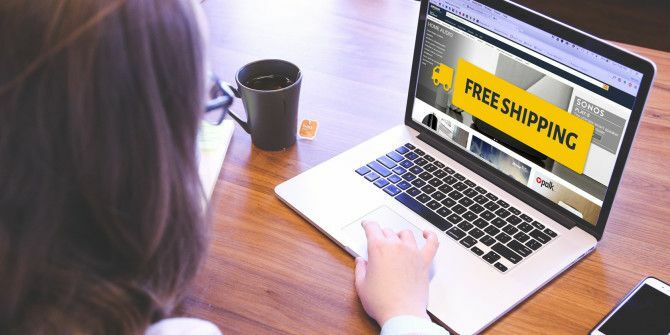 A number of websites also offer free international shipping Shipping Smartly: 5 Frugal Tips to Save Money When Shopping Online Shipping Smartly: 5 Frugal Tips to Save Money When Shopping Online You're shopping around online, you find the perfect item just within your budget, but the shipping is just way too much? Here's how to cut those fees down to size. 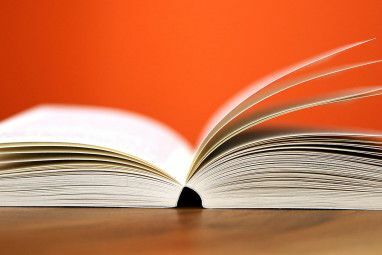 Read More , which could easily be worth $20 or more on a single order. Even if you aren’t planning on spending the minimum amount, you can find creative ways to get there. Ask if anyone else in your household needs something from that website. Stock up on supplies that you know you’ll need to buy again soon anyway. Sometimes — only very occasionally — it’ll be worth it to add another item to your basket to get free shipping. Be sure to compare total prices carefully to see if this is a good idea, though, or you’ll end up spending more than you intended to. You might be surprised to find out just how often you can get free shipping just by asking. Send a message over Facebook or Twitter to the company, or if the website has a live chat agent, ask if there are any coupons available for free shipping — you’ll score a discount code more often than you might expect. Even if they don’t have one for you, there’s a decent chance you’ll get a 5% or 10% off coupon instead, which could cover the cost of shipping. Social media actually provides a number of interesting ways to save money 7 Ways to Use Facebook to Save Money 7 Ways to Use Facebook to Save Money Read More , so combine this with other methods and you could be looking at a notable amount of savings. 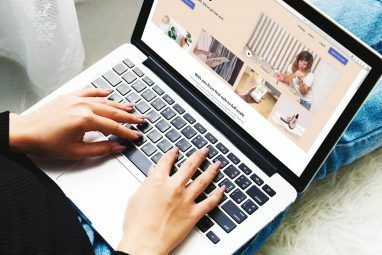 Paying for shipping can really add to the cost of shopping online, which is already full of traps to make you spend more Do You Think Twice About These Online Shopping Traps Before You Buy? Do You Think Twice About These Online Shopping Traps Before You Buy? Retailers and marketers are using cutting-edge behavioral psychology to get you to buy their products, whether you need them or not. Do you know how they're targeting you? Read More . By employing these strategies and being a smart online shopper, you can save a really significant amount of money on your orders. It’s only $5 or $10 here and there, but over a year or two, it adds up. Don’t pay for shipping if you don’t have to! How else have you gotten free shipping in the past? What tips do you have to save money when it comes to shipping? Share your best tricks below! Explore more about: Amazon Prime, Online Shopping. I sometimes add an item to make the minimum and return the item to the store. Thanks for the informative article. On Amazon I keep several types of wish lists with nothing but filler items for rounding out an order that would have shipping on it by itself. These are things like books, small electronics, office supplies, and especially gifts that throughout the year I'm going to buy anyway. Tacking them onto a short order allows me to save the freight, plus eventually buy the small things I would have anyway...while also saving freight on them. Instead of trolling with useless, not-helpful comments, people should take their discerning literary tastes elsewhere. Thanks, Kelsey! I very much appreciate your comment, which is really useful. That's what comments are for, and a lot of people don't realize that. Anyway, keeping a list of items that help you get to amount needed for free shipping is a great idea! There are always those things that you don't feel super justified in queueing up an entirely new order for, but you need to order at some point. I think I'm going to have to use this strategy! It's not free shipping if you have to pay $70 or $80 or $100 for shipping for a year. It may be cheaper, but it's not free. If you pay Amazon $100 for Prime and order 20 times, that's $5 shipping, not free. One of the most worthless articles I've ever seen. Excellent clickbait, though.